RU ready to watch the Belmont Stakes this Saturday, June 9th?! We might be welcoming a new addition to the exclusive Triple Crown winner club! Only the most talented thoroughbred horses win this prestigious title! The horse everyone has their eyes on is Justify, a 3-year-old colt who recently won the Kentucky Derby and Preakness Stakes. His trainer, Bob Baffert, says, “he is coming stronger than ever” to the third leg of the series. The young colt has only run five races in his career and has remarkably placed first in every single one! In fact, he was the first non-two-year-old since 1882 to compete and win the Kentucky Derby. Justify, with his jockey Mike Smith, will be racing in yellow and red silks from the China Horse Jockey Club. The Chinese will take pride in seeing their countries colors being represented in a world-renowned occasion, while Americans stand on their toes in anticipation of another Triple Crown win. This could potentially spark the influx of horse racing internationally. 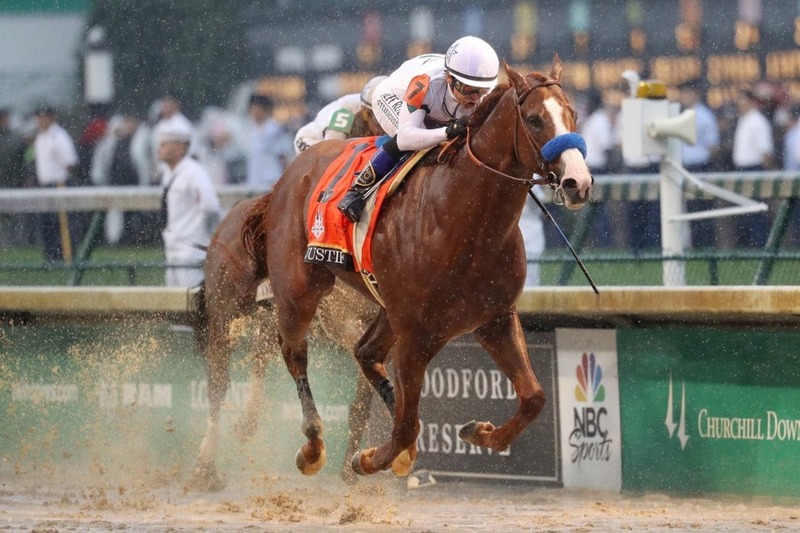 Justify will not be the only one potentially making history if he wins the Triple Crown this Saturday. Bob Baffert, who was the trainer for the previous 2015 Triple Crown winner American Pharaoh, might be the first thoroughbred trainer in history to have more than one horse win a Triple Crown! The odds are very high for Justify at 4/5, but he will have some tough competitors going up against him like Bravazo, Vino Grasso, and Hofburg. This is going to be one of the biggest races in history! Do you think he can JUSTIFY the odds he has set on him for this Saturday?